TimeTrak's serviceable unit and asset management tool was specially created for the trades and field service industries. It monitors and manages preventative and reactive maintenance to provide superior service and increase profitability. Assets (or serviceable units) can be assigned to a client, job, tasks, article or question, and can be assigned or unassigned as required. You are also able to create a new job or custom fields against the asset. TimeTrak allows you to keep detailed and customisable reports of each and every asset you create. No matter how many assets you are managing, your team can have all in the information they requires in seconds. Full asset history, details of upcoming services, add attachments such as manuals or photos - all of this can be made available to staff in the office or the field, and even customers. Step back from manual processes and move forward with automation. Get flexibility back into your business with TimeTrak. Add assets to routine maintenance jobs, view asset information, service history, as well as service or compliance forms from the job. Whether you are out in the field or in the office, working from a smartphone or desktop - you'll have a powerful asset management tool at your fingertips. Assets can be added, removed or changed from a routine maintence job in the field and then automatically updated on the next scheduled maintenance list. Know what's to be tested, when, and what specific test is required. Create and assign jobs and quotes directly from TimeTrak to get the job done quickly. Be alerted when assets fail and require rectification, and of critical failures that need to be rectified quickly. Create a job or quote from the alerts page right there and then. Link documents, articles or questions to your assets so your team can access vital information wherever they are. 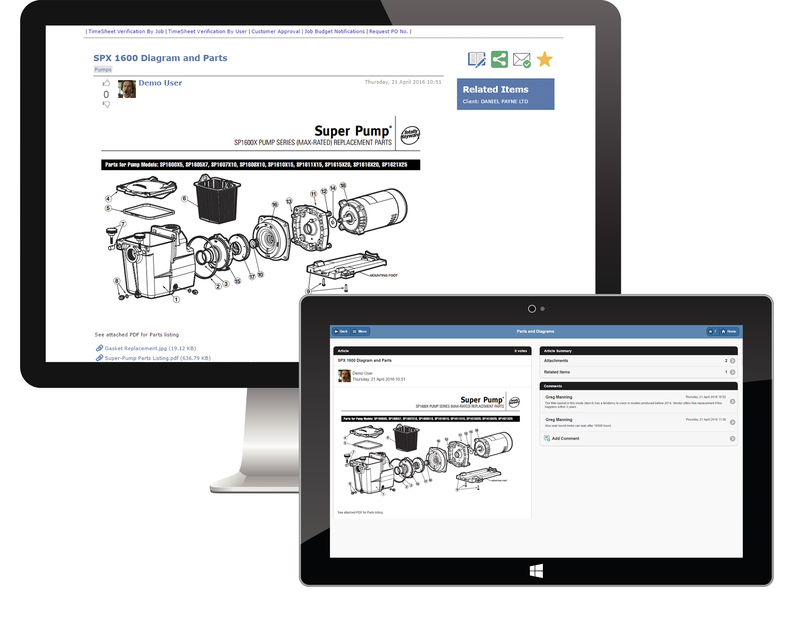 Documents can be anything from site or wiring diagrams to service manuals, how-to guides, photos or even instructional or induction videos. 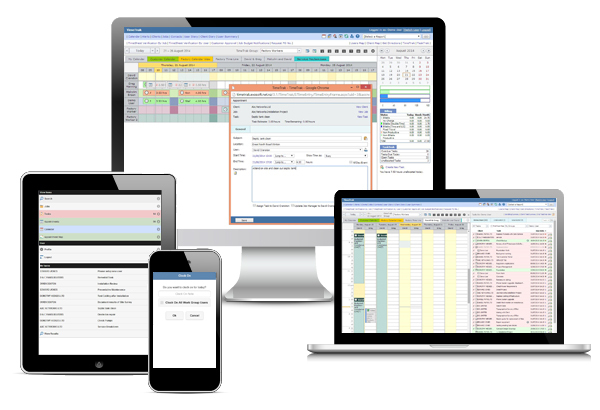 This functionality gives users a great tool to manage their time and materials against Serviceable Units and keeping track of history notes and custom fields. Guide business decisions with relevant, real-time data. TimeTrak allows you to generate reports on planned preventative maintenance, test history and asset lists; as well as keeping your customers in the loop too. Using the Customer Portal, your customers can view quotes, jobs, outstanding invoices, and a list of assets and their current defects or planned maintenance. Take the complexity out of asset maintenance with TimeTrak. Contact our team today to talk about how we can help manage your assets more efficiently.